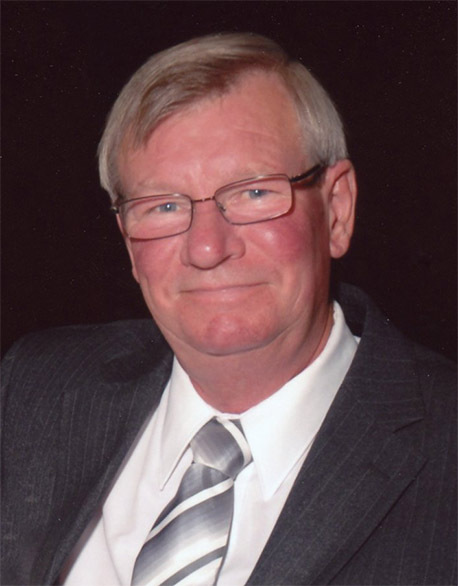 Bernie, age 72 of Altona, MB passed away on Saturday, October 27, 2018 at the Altona Memorial Health Centre. Memorial service was held on Friday, November 2nd , 2018 at the Altona Bergthaler Mennonite Church in Altona. Interment took place prior to the service at the Altona Cemetery. 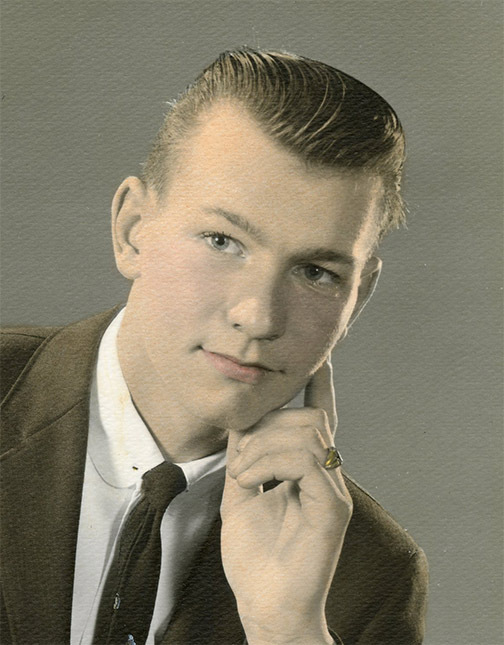 Dad was born to Diedrich H. and Annie Klassen on January 26th, 1946. He grew up in the Amsterdam & St. Joseph districts until 1959 when his family moved to the Roseville district, 3.5 miles north of Altona. He was baptized upon the confession of his faith on June 7th, 1965 in the Sommerfeld Mennonite Church in Altona, by Bishop John A. Friesen. He transferred his membership to the Altona Bergthaler Mennonite Church in August of 1966. On October 9th, 1966, he married the love of his life, Hilda Teichroeb. They made their home in Altona where they were blessed with two sons. Kerry in 1967, and Dale in 1969. In 1975, they moved to the family homestead. Then in 1991, Mom & Dad moved to Altona to their current residence. Dad loved spending time with his family, whether at home, on vacation, weekends at the lake, or at the race track. As the years went by with weddings and then grandchildren, the pride that Dad had for his family grew. He loved to attend their many events, watching from the sidelines but was always there. We spent many good times with family, again whether at home, special events, camping or simply hanging out. Dad started working for Bueckert Motors of Altona in 1966 that later was bought and re-named West Part Motors. He enjoyed working as a mechanic and detailer for the sales dept during his 45 years at West Park Motors. In 2011 Dad was diagnosed with Colon Cancer and went through many surgeries and treatments. His cancer then went into remission for 3 years. At this time he took a job at Sun Valley Co-op pumping gas. He enjoyed his time there, but when he was diagnosed with Mesothelioma Cancer in November of 2017, he was no longer able to work. He struggled with this disease for almost a year. In the last few months, with his breathing so labored, he was hospitalized on Wednesday, October24th until he went to his heavenly home on Saturday, October 27th, 2018, where he is now cancer free without any struggles. We would like to thank the nursing staff, Dr. Woelk and the late Dr. Bob Menzies at the Boundary Trails Cancer Care Center. Thank you for the time and care you showed to both Dad and Mom, making them feel so loved and cared for at such a difficult time in their lives. Thank You to the Altona Memorial Health Centre. Thank You to all who brought food and flowers, the phone calls, text messages, prayers, cards and visits. A big thank you to Trevor and Terry at Wiebe Funeral Home. We would also like to thank Richard & Benita Bage for the visits and the support you showed to both Mom & Dad over the years, especially in the last few months. Dad really appreciated your friendship and the kindness that was shown to him in a way that made him feel loved and supported. We will miss you Dad, we love you and we know that we will meet again. Brother Cornie Klassen and partner Mabel Cooper, foster sister Linda Villeneuve, as well as many in-laws, nieces, nephews & cousins. He was predeceased by his parents, Diedrich H. & Annie Klassen, parents-in-law Abram A. & Tina Teichroeb. I’m right there in your heart.